For the first three trimester, gotten insomnia, laziness, sleepiness, poor appetite, bald taste bud, nausea, slight vomiting and diarrhea. All of these caused me to lose at least 5kg. If I’m not pregnant, I will be so happy that I’ve lost 5kg. Well, is normal to lose weight in the first trimester. It was obvious that people can’t tell that I’m pregnant and told me that I’ve lost weight. Having weird dreams and nightmares in the first three trimester too. Damn scary please! All those dreams made me kinda paranoid too. 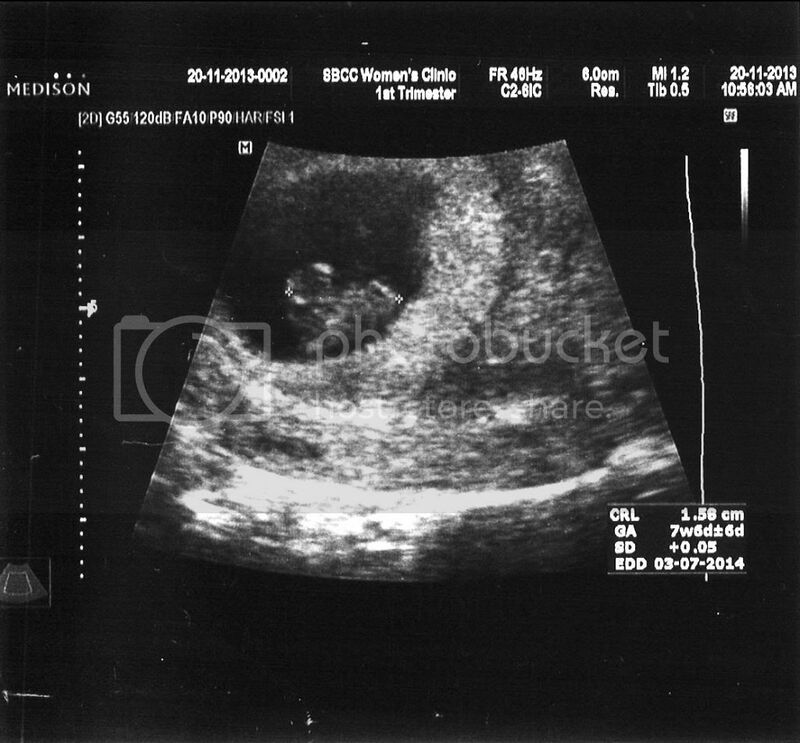 Ultrasound scan of fetus at the 6 and 8 weeks! Everyday, I felt that I’ve a meaningless life. No goals in life. Everyday wake up with no motivation. Dread to wake up but no choice because I’ve to look after Beorn. Was having a tough time fighting against sleepiness as I can’t nap in the noon 🙁 Controlled my caffeine intake too. I used to have at least a cup of coffee a day. Moving on to the second trimester, I was looking forward because it’s the best trimester throughout the whole pregnancy. Until the 5th month, I started to gain a little bit. Was quite worried about the weight loss as in the 4th month, I ate pretty much but I’m not gaining at all. 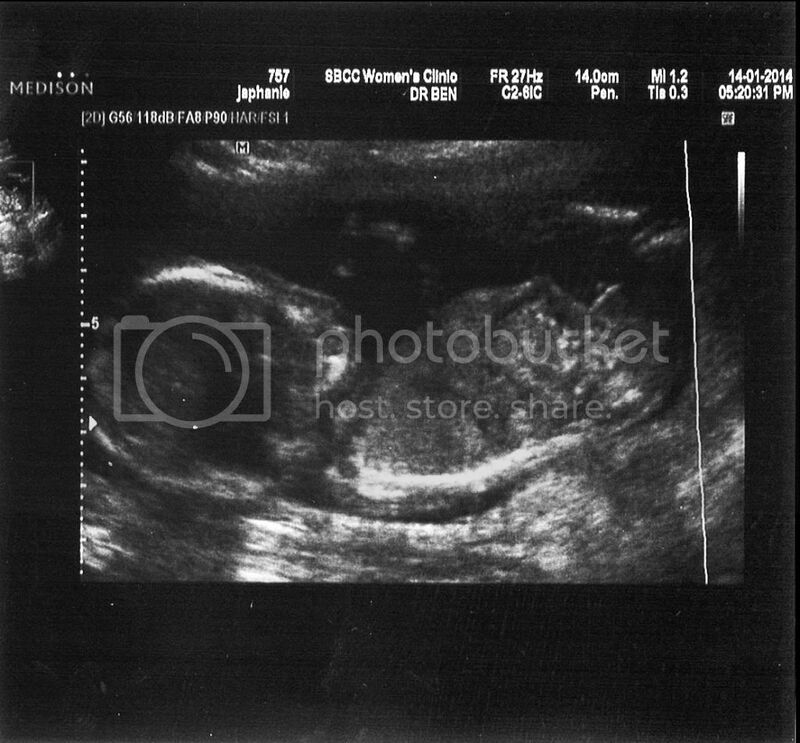 Ultrasound scan at 12 and 16 weeks! No more weird dreams or nightmares, no more sleepiness, no more laziness, no more poor appetite, no more weird taste bud, no more nausea, no more vomiting and no more diarrhea! But my worse nightmare appeared in the trimester, leg cramps!!! My both legs can cramp twice in a night! Terrible and horrible that it affected the way I walk! At times, I could hardly even walk! Ever since I’ve started my own online shop, The Kiddies (http://www.facebook.com/thekiddiesgshop), I don’t feel useless and meaningless anymore. Oh, found out about the gender and got pretty upset. Im having another boy! 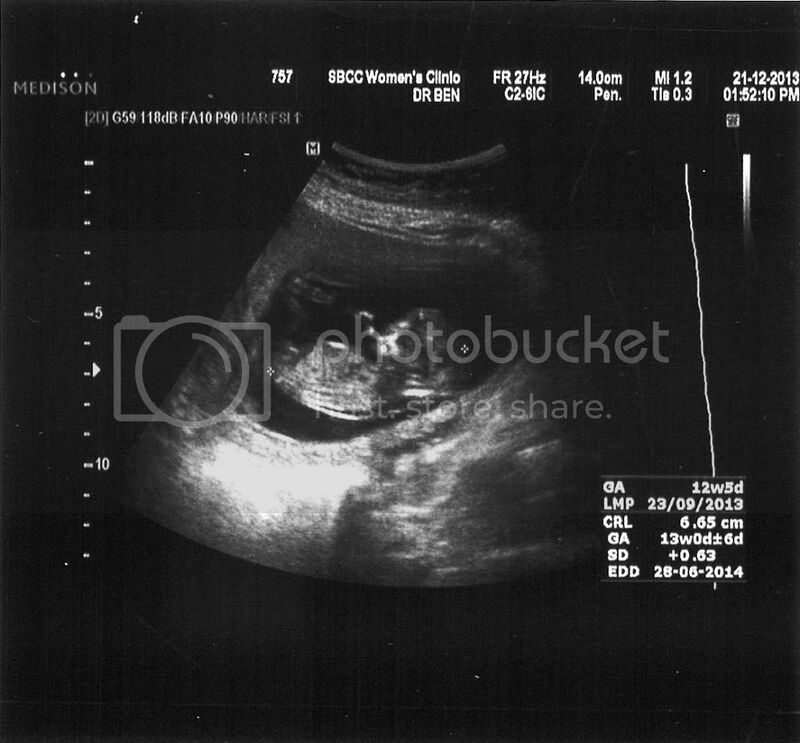 I know i shouldn’t be upset as long as baby is healthy but the world know that i wanted a baby girl so badly! It took me quite some time to get over it and that period of time, i seldom head out. Each time i bump into any baby girl or any little girl’s apparels, i will get upset. At first HG wasn’t being understanding and kept telling me that i will upset the 2nd child. After voicing out and what he said was right, soon, i’ve accepted the fact. In the 6th month, slowly moving to the last trimester, starting to feel sleepy, lazy and gotten very bad heartburn. Gotten a new pillow and bolster to rest my legs so no more leg cramps for me. My appetite got better too. Well, it was the period where little B is growing some fats already. Backache became regular too. One evening, gotten very bad low abdomen pain that I went to NUH for a check since my gynae’s clinic was closed. Did some tests and headed home instead of warded. Next few days, received the bill and was shocked to see the amount. The nurses and doctors didn’t kept their words. Told me that be it positive or negative, they will inform me about my results but waited for a week and more, no calls or mail. We even requested for a contact number but they refused to give. Over promised and under delivered. Unlucky me gotta UTI and spread to having kidney infection too. It was tough for me especially when I can’t get to rest well. Gotten fever for a week, followed by flu and then cough. I didn’t know that I’ve gotten infections until one day, I let my gynae do some tests. The kidney infection got me so bad that one morning, I shivered really really really badly! It was worse than when I took epidural before csect. Off the aircon, no fan, windows are shut, covered myself with 3 blankets, wearing jackets and socks and I was still shivering badly. So bad that I cant speak and I myself got a shock too. The shiver was uncontrollable! Took a week of panadols due to fever and 2 weeks of antibiotics. Praying so hard that little B will be fine. Soon after, Beorn fell sick too. Having high fever for days. Poor mommy not only have to keep track of my medications but have to keep track of Beorn’s and to look after him too. As Beorn is getting older, my mama was having a harder time looking after him. 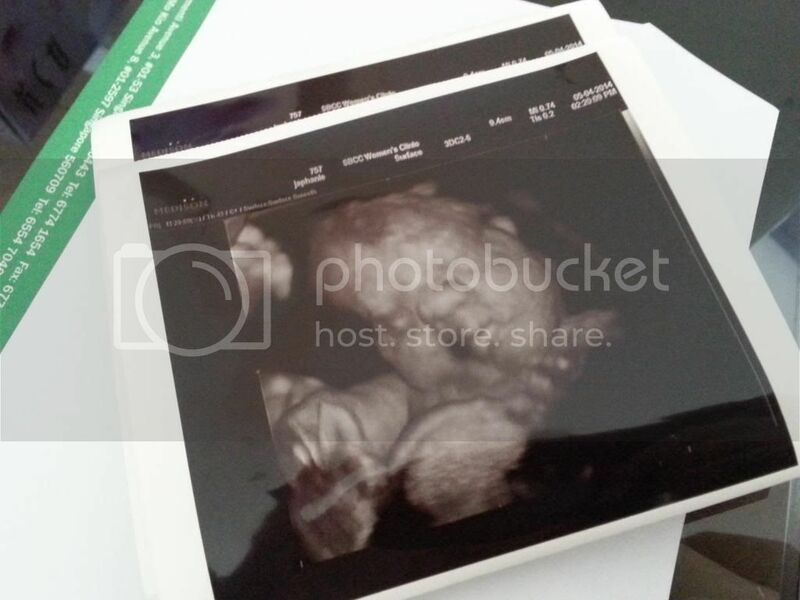 In the 26th week, little B was weighing at 956grams!!! In the 27th week (between 2nd and 3rd trim), tummy got bigger and backache got worse. I can’t sit or stand for long. Either one, my back will ache. Felt like the heavy tummy was pulling me down. Scan at 27weeks 5 days, 1.1kg! My baby bump at 25 weeks(left) and 28 weeks(right)! My baby bump at 31 weeks(left) and 34 weeks(right). 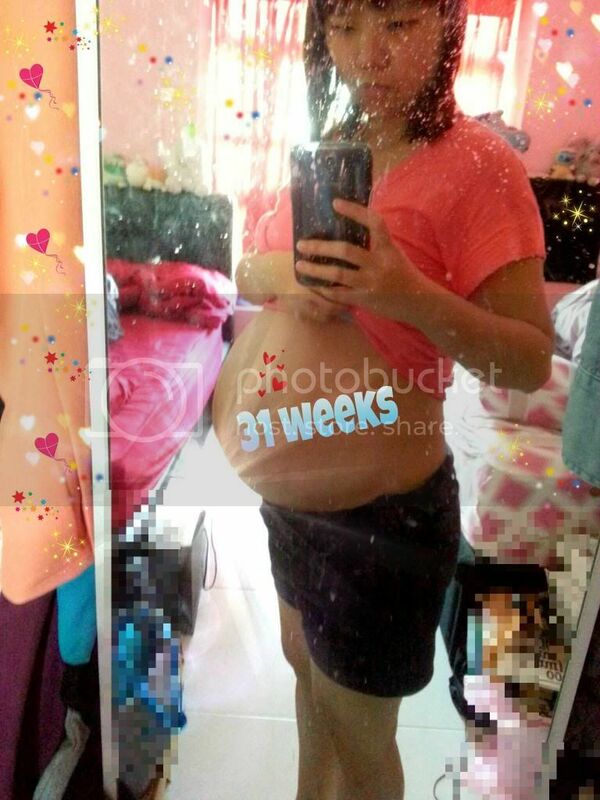 Finally at 32 weeks, went for pre-natal massage. Felt so refreshed after it. Cant wait for post-natal massage although i cant stand having oil on my skin. For the sake of beauty, have to bear with it. 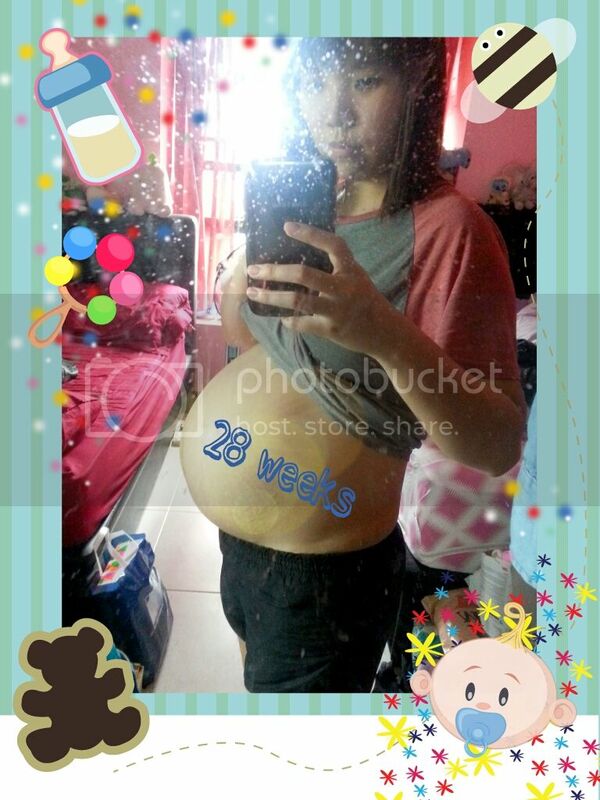 At 36 weeks onwards, my backache came back and got worsen. 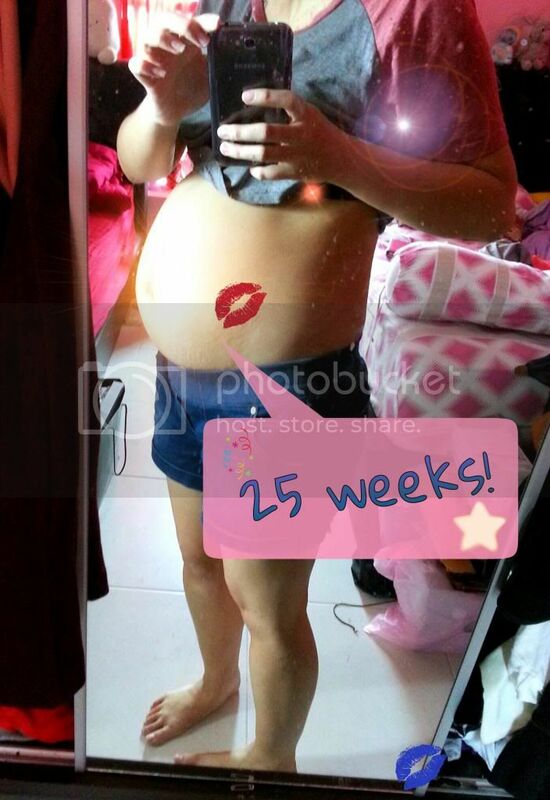 Little B was weighing 2.9kg-3kg at 36 weeks 4 days! He look just like Beorn! Even the way they sleep inside me! My baby bump at 37 weeks! 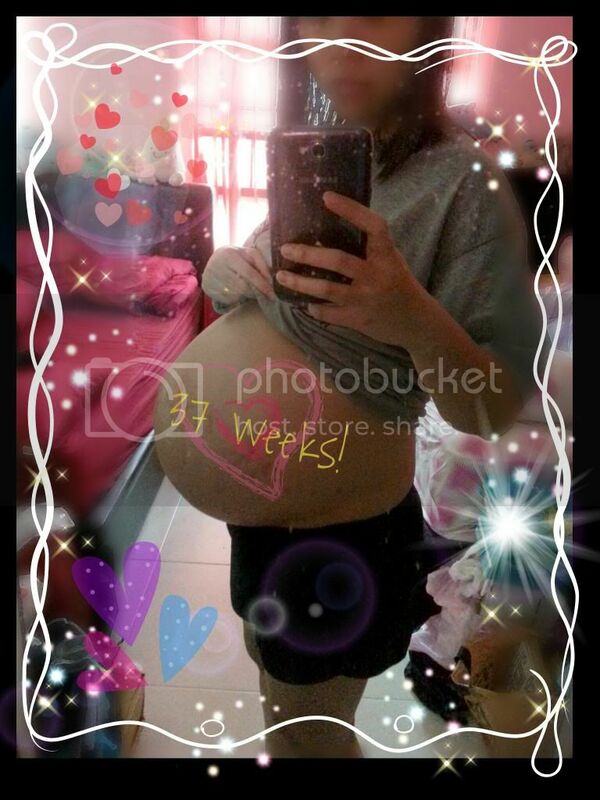 Baby bump got heavier that i cant sit or stand up for more than an hour plus. Otherwise my whole back will be stiffed. Sharp pain at upper and lower back and pelvic! 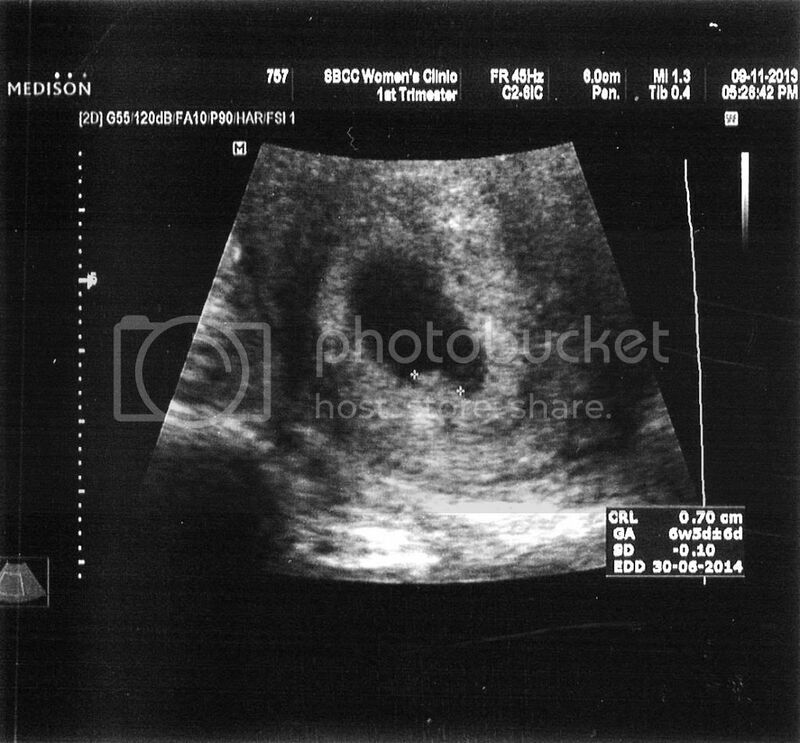 Praying very hard for little B not to pop out before the date as my gynae went overseas.